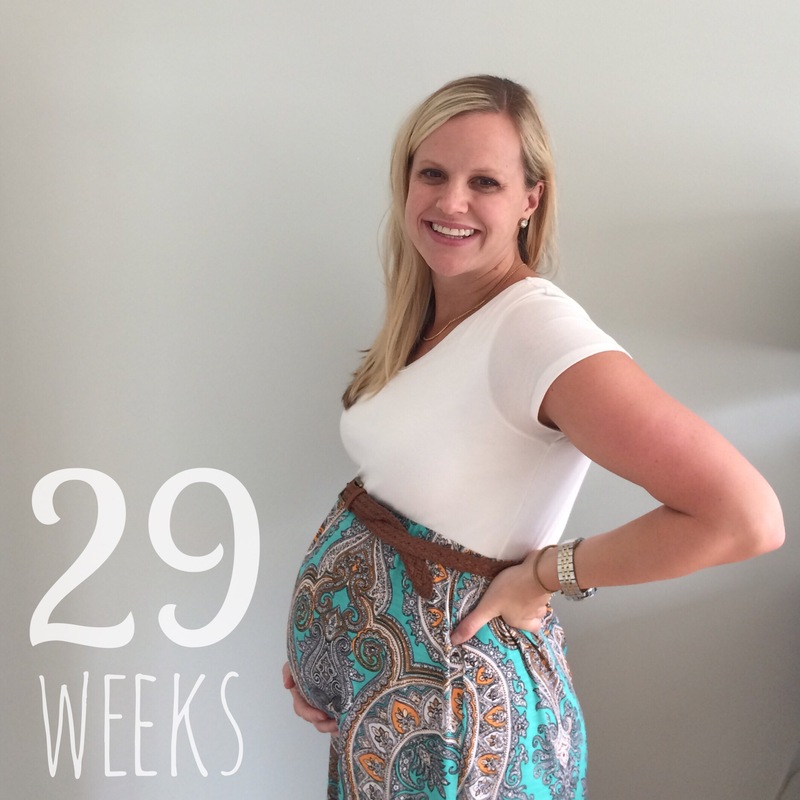 # weeks: 29 — baby is the size of a butternut squash! Measuring approx 17″ long and weighing 2.9 lbs. Best moment this week: My parents closed on their home in Marietta, which was pretty exciting! They’ll be living about 20 minutes from us, which I know will be incredibly helpful and fun to have them nearby as baby H grows up. 🙂 Yay for grandparents! Miss anything: Some red wine at dinner with my family last weekend would have been nice, but I’ll live! Cravings: No real cravings to speak of. Feeling good/bad: Other than a minor foot injury while shopping on Saturday (it’s a dangerous sport! ), I’m feeling great and trying to make the most of this energy before I start to lose it in the coming weeks! Baby purchases/gifts: My mom finished the cross-stitch she made for the nursery, and it’s so cute! We took it to be matted and framed, and I can’t wait to see the finished product and add it to one of the gold bookcases next to the crib. 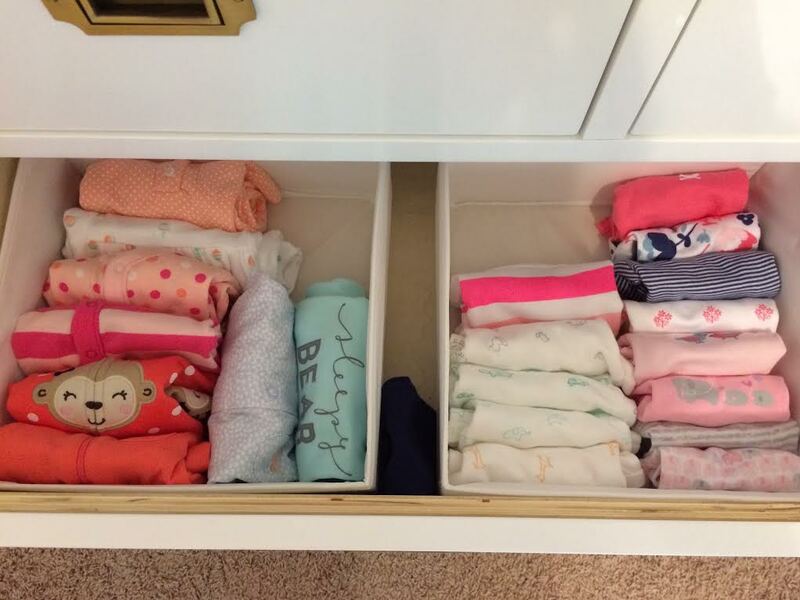 I’ve also been organizing the dresser and closet in the nursery, which has been really helpful in determining what gaps we need to fill in clothing-wise. I got these drawer boxes to help organize her tiny clothes by size in the dresser drawers, and I’m really happy with them. Baby girl already has a pretty fabulous wardrobe to get started with! Looking forward to: Heading back to Nashville this weekend for the couples shower that our sweet friends are hosting for us! I’m excited that Craig gets to be included in something, as it’s just as much of a special time for him as it is for me. We’re looking forward to spending time with Craig’s family and lots of his high school friends, as well as some of my favorite girls.